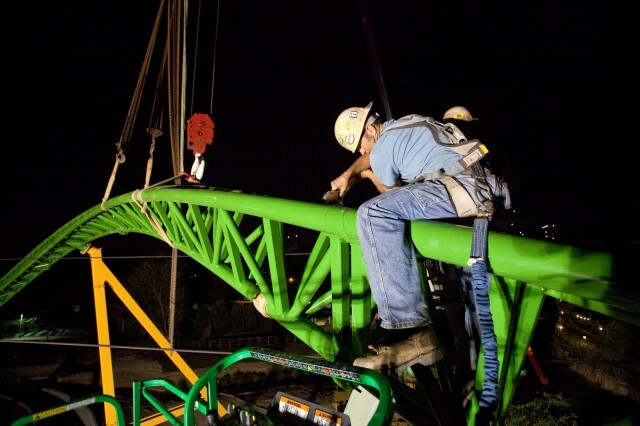 Workers install the final sections of track on Cheetah Hunt at Busch Gardens Tampa Bay. With a May 27, 2011 opening fast approaching Busch Gardens Tampa Bay is rapidly working on their giant new Cheetah Hunt LSM launch coaster. After a short hiatus of visible track installation, work resumed last week with the final sections of the drop installed. And finally, after months of work, steel workers attached the final piece of Cheetah Hunt. The jump over the park’s Skyride is just one of the many elements that show how Cheetah Hunt interacts with existing aspects of the park. BGTNation has a great video from the park of the installation of the final piece of track. Also check out their site for frequent updates about the park. In addition to the track completion, the park released photos of their new 4-week old baby Cheetah. Born at the Jacksonville Zoo, the youngster had difficulties eating leading him to be hand raised. The 2 pound baby requires 24 hour attention keeping Busch Gardens Tampa handlers up late at night. When old enough, the Cheetah will join the pack of 8 other Cheetahs as part of the Cheetah Run animal exhibit adjacent to Cheetah Run. 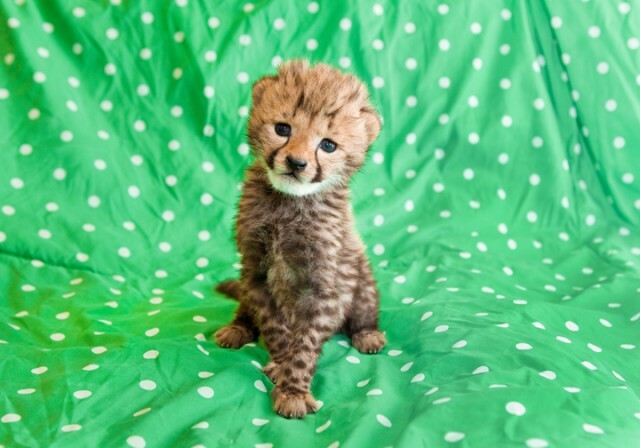 Busch Garden Tampa's new 4-week old baby cheetah. Cheetah Hunt and Cheetah Run open May 27, 2011. 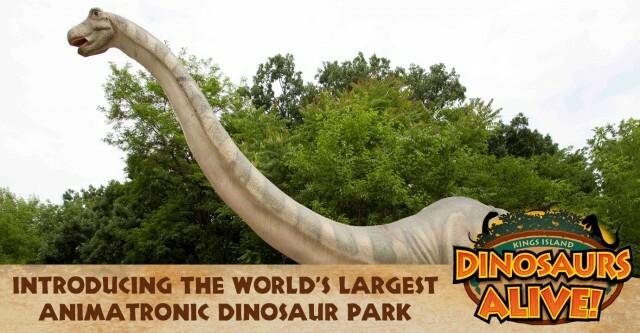 Kings Island announces Dionsaurs Alive! 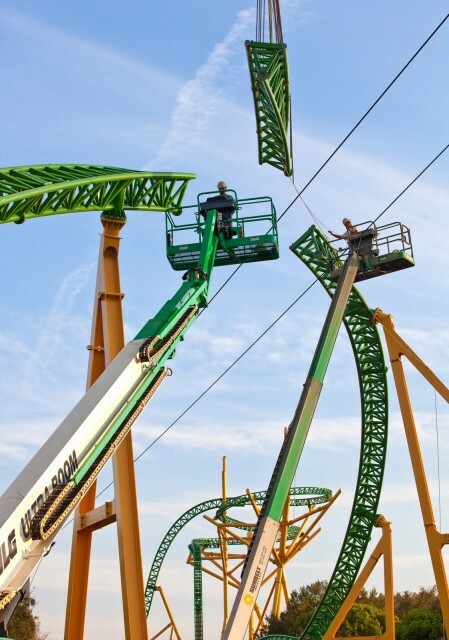 Kings Island announced yet another new addition in 2011 in addition to their upcoming Windseeker swinging attraction. Dinosaurs Alive! 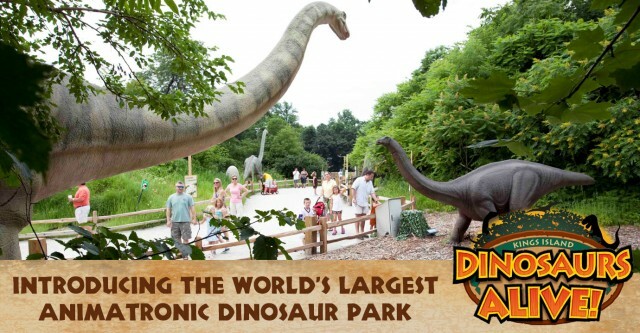 at Kings Island will debut as the “world’s largest animatronic Dinosaur park”. Featuring over 60 life like dinosaurs, the new 12.5 acre addition will bring guests back millions of years and into the age of the dinos. Among the 60 creatures will be the world’s large animatronic dinosaur, the Ryang Yellow River Dinosaur. At 30 feet high, 72 feet long, and 12 feet high, this monster towers over the rest of the reptile creatures. The new addition will bring together science, technology, and entertainment. While this isn’t a massive addition, it’s certainly nice to see parks doing smaller walk through area type attractions such as this and the various Snoopy nighttime shows. If done right, this could be the best family spot in the park. For the past two weeks, we’ve wanted to know which wooden roller coaster manufacturer was your favorite. Great Coasters International, is known for their twisted, overlapping layouts where the coaster crosses over itself numerous times, including rides like Thunderhead (Dollywood), Prowler (Worlds of Fun), and Troy (Toverland). The Gravity Group on the other hand is a much new wooden coaster manufacturer that gears their layouts towards a mix of airtime and high banked turns. 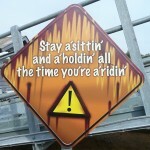 Gravity Group coasters include The Voyage (Holiday World), The Ravine Flyer II (Waldameer), and Fireball (Happy Valley). Intamin is known for their unique, “pre-fab” wooden coasters with pre-fabricated track that are set in place similar to a steel coster. This system allows for higher and faster woodies like T-Express (Everland), El Toro (Six Flags Great Adventure), and Balder (Liseberg). Last but certainly not least is Custom Coasters International, a now defunct roller coaster manufacturer, however their coasters continue to wow guests today. CCI creations include Boulder Dash (Lake Compouce), Rampage (Alabama Adventure), and Tremors (Silverwood). Of course, if none of these are your favorite we included an Other option. This proved to be yet another quite surprising set of poll results. Emerging as the clear victor with 42% of the 53 votes was Great Coasters International, Inc. In second was Intamin AG with 34%, followed by The Gravity Group with 13%, Other coming out with a much higher than expected 7%, and Custom Coasters grabbing just 4% of the votes. Considering that all of the losing poll options have built coasters that were voted higher than any Great Coasters International, Inc roller coaster in the 2010 Mitch Hawker’s coaster poll, I’m baffled by GCI emerging as such the clear winners. However, GCI has made more roller coasters than all of these manufacturers excluding Custom Coasters International. Which leads me to wonder is it quality over quantity? Cause that would contradict our previous poll. Which is your favorite wooden coaster manufacturer? 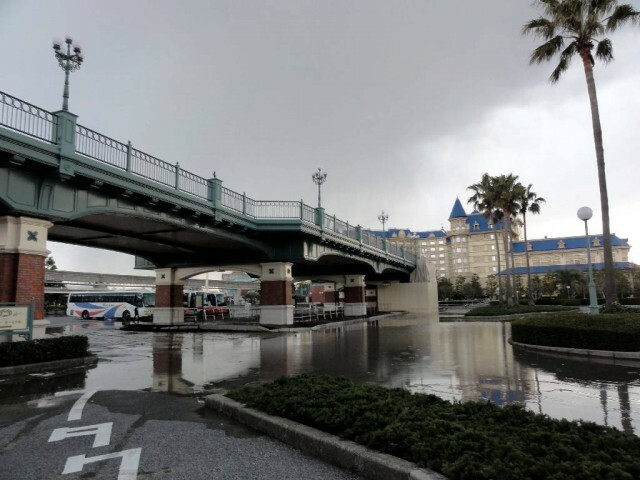 So why did you vote for Great Coasters International? And if you didn’t why not? Once again, it’s time for another poll! One of Six Flags’ signature roller coaster names is “Goliath”. With a total of 5 current and previously owned Six Flags properties having coasters named Goliath, it’s no surprise that each of them are of biblical proportions. Unlike a certain Batman: The Ride clones, each of the Goliath named coasters are very different and most certainly unique. None of them share the same layout, and only two are the same coaster styles. At Six Flags Magic Mountain, the original Goliath is one of the tallest and fastest coasters on the planet reaching speeds of 85 mph, and a height of 235 feet. Trains dive under ground and over huge elements in the first half, before a twisted second half full of helixes, over banks, and turns. Two years later, Six Flags Holland (now named Walibi Holland) debuted an Intamin version of Goliath boasting a much more low to the ground layout with plenty of airtime. The European version also includes a unique Stengel dive element among the rest of the 4,000 feet of track. In April of 2006, Six Flags Over Georgia employed Bolliger & Mabillard to build there custom Goliath with a layout so giant the coaster goes outside of the park. With 7 airtime hills, a massive helix, and a horseshoe element it occupies the most space of any of the Goliath’s. A month later, the Canadians debuted a similar version of the Georgian Goliath with 10 airtime hill coaster that encompassed the the park’s parking lot. This once again is completely different in layout from all of the other Goliath coasters. Last but not least, in 2008 Six Flags Fiesta Texas took on an entire new direction with the Goliath name by making an inverted with a Spanish motif. While not as large and airtime filled as the other, the forceful and compact layout is exactly what the park needed. So which is your favorite Goliath coaster? Poll is opened through the next two weeks. 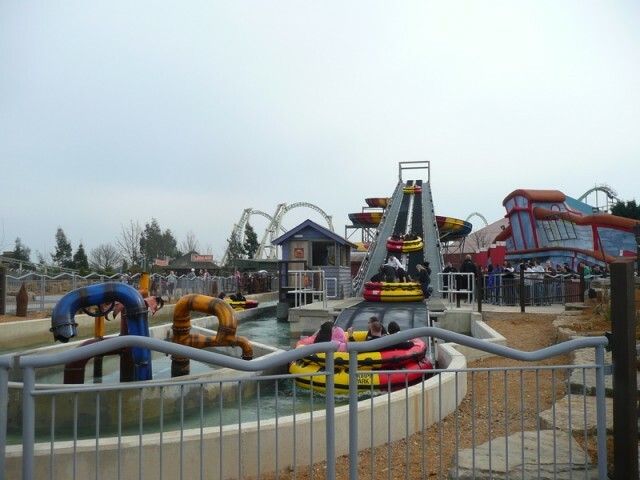 Leave a comment with your Park Thoughts below! Jimmy Neutron’s Nicktoon Blast closing, Despicable Me on the way? 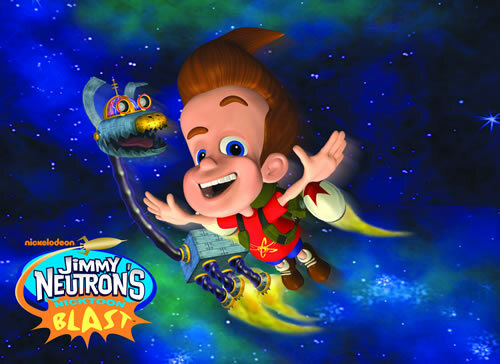 Jimmy Neutron's Nicktoon Blast begins limited operating hours April 1, and officially closes August 18, 2011.